Our range of products include enameled aluminum wire. Our company also organized the most of the seminar to understand a different kind of things. In the bad environment, they also remain its high-speed quality. 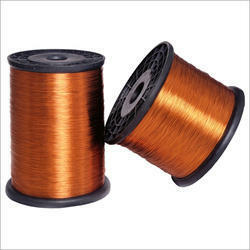 Polyesterimide Enamelled Aluminum Wire is manufactured on the international bases. Its dimensions are very strips and lengthy.